The economic consequences of large-scale disease outbreaks can be enormous: pandemics could cause $570 billion per year in average economic losses over the coming decades. Health security threats have an especially destructive impact on development investments and GDP in low-income and lower-middle-income countries (LICs and LMICs): the 2014-2015 Ebola outbreak in West Africa wiped out nearly five years of existing investments in the region, gravely setting back the region’s future development prospects. By contrast, upgrading countries’ preparedness is relatively inexpensive and affordable; recent data demonstrates most countries would need to spend approximately $0.50-$1.50 per person per year to get an acceptable level of epidemic preparedness. The financing gap for preparedness is one of the starkest problems in health security, especially among LICs and LMICs. That gap is estimated at $4.5 billion per year. Investments in preparedness are cost-effective and affordable, but low-income and lower-middle-income country governments continue to underinvest at dangerously low levels. These governments bear lead responsibility for addressing financing gaps, but external funding can be catalytic. At present, there is no financing mechanism and no adequate incentive structure to motivate governments in high-risk countries to invest in preparedness, particularly when those investments compete with more visible priorities such as education, housing, transport infrastructure, and other pressing health needs. As a consequence, countries remain ill-prepared and vulnerable to the persistent threat of pandemics and large-scale disease outbreaks. The World Bank Group’s International Development Association (IDA) replenishment takes place every three years and presents a choice opportunity to make adjustments that reflect important emerging priorities. In the current IDA19 replenishment, stakeholders can take a major step towards closing the preparedness financing gap by incentivizing $1 billion or more per year in preparedness investments in LICs and LMICs. Pandemics and high-risk disease outbreaks spread quickly, rapidly infect large numbers of people, and can escalate swiftly into regional epidemics or even a global pandemic. Estimates are that an influenza pandemic could infect billions, kill millions, and damage the global economy.1 The risk of health security threats is especially high in fragile and conflict-affected settings, concentrated among low-income countries (LICs). The ongoing, highly-dangerous Ebola outbreak in the Democratic Republic of the Congo is the second-largest Ebola outbreak in history and presents a significant, escalating threat to the region and potentially beyond. Responders struggle amid continued violent attacks, community resistance, weak existing health security capacity, and insufficient international financing. Underinvesting in preparedness undermines other critically important health objectives. For example, outbreak threats endanger ongoing efforts to combat antimicrobial resistance (AMR). AMR can contribute to serious illness and death during a large-scale outbreak and is a major health security risk globally in its own right. The AMR threat is rising, as common infections become deadly due to widespread drug resistance. Investments in preparedness are central to achieving universal health coverage. Health systems only become effective at protecting and improving health when they achieve core public health functions of preparedness and response, such as antimicrobial stewardship, disease surveillance, laboratory networks, community health workers, healthcare infection control, and emergency operations centers. The absence of preparedness in LICs and lower-middle-income countries (LMICs) creates dangerous vulnerabilities outside the borders of these countries. Preparedness by individual national governments is essential to creating shared and reliable protection from unforeseen, sudden health security threats. Without strong preparedness systems already in place, outbreaks are much more likely to spread out of control and undermine development investments. For example, the 2014-2015 Ebola outbreak in West Africa caused at minimum $2.8 billion in losses in GDP in the three most affected countries, primarily through disruptions in mineral and agricultural production, trade, new investment, banking, and transport.4,5 The outbreak wiped out nearly five years of World Bank Group (WBG) investments in the region and set back the region’s future development prospects. Since 2014, 45 IDA-eligible countries have undertaken a national preparedness assessment (a Joint External Evaluation, or JEE)6 of their capacity to prevent, detect, and respond to epidemics and pandemics. Of these countries, 31 have already developed National Health Security Action Plans to address these gaps. None of these action plans has been adequately financed. The costs of upgrading defenses against health security threats are just a fraction of the resulting costs of epidemics. Recent costings suggest that most countries would need to spend $0.50-$1.50 per person per year to get to an acceptable level of epidemic preparedness.7 For most countries, this is less than 2 percent of what is spent on healthcare. Strengthening health security preparedness often receives very low priority in country budgets, despite the catastrophic risk to health and economies from a major epidemic. Many low-income countries underinvest in preparedness due to a lack of resources. A related factor is that preparedness creates outcomes that are often not visible, competing against investments in roads, housing, and education. There is a need to create new financial mechanisms that incentivize low-income countries to increase investments in their preparedness and begin to close the $4.5 billion global funding gap. Low-income and lower-middle-income country investments in basic preparedness are strikingly low. Bilateral development assistance for health security will continue to play an important role in closing the financing gap, but dedicated funding for increasing preparedness in low-income countries has been limited. The United States led the way in this area through the $1 billion in Ebola supplemental funding appropriated by Congress for fiscal years 2015-2019, and these investments should be sustained post-2019 as part of the U.S. commitment to the Global Health Security Agenda. The G7, South Korea, and Australia have also pledged resources, but the size and sustainability of these funding streams fall far short of what is required. For the United States and other donors, the challenge is to find a combination of regularly budgeted bilateral investments and multilateral investments to adequately finance preparedness investments in low-income countries. On the multilateral front, over the past several years the World Bank Group has established itself as the leading international financier for health emergency preparedness and response in LICs and LMICs. It can do more. The WBG’s International Development Association (IDA), its fund for the poorest countries, has a Crisis Response Window (CRW) that provided grant funds for the Ebola emergency response efforts in 2014.8 IDA is also supporting some discrete country preparedness efforts such as the Regional Disease Surveillance Systems Enhancement Program (REDISSE) in West Africa. 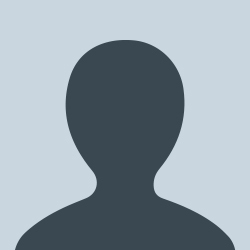 However, although IDA’s shareholders made enhancing preparedness a special focus of the IDA18 replenishment in 2016, to date this has not yielded sufficient resources devoted to preparedness. One conclusion: new catalytic financial mechanisms are needed. Expand the remit of IDA’s existing Crisis Response Window: The CRW, with a current allocation of $3 billion over three years, is designed to provide countries with additional financing that is over and above their regular IDA allocations so they can respond to economic crises, natural disasters, and public health emergencies without encroaching on existing development investments. The CRW provided funds for the Ebola emergency response efforts starting in 2014. Its mandate and allocation could be expanded to create the IDA Crisis Preparedness and Response Window, equipped with an additional $1 billion per year to LICs and LMICs for preparedness, on top of the CRW’s current allocation. This expansion is consistent with the CRW’s aim to improve countries’ resilience to future crises. Results-based financing could also be linked to the CRW. Link additional domestic financing for preparedness to results: The WBG has experience using a variety of IDA tools that could be used to catalyze increased investments in preparedness. For example, the WBG can promote “buy downs” that convert IDA loans to grants if countries achieve agreed performance benchmarks. Using this vehicle, the WBG could augment countries’ IDA domestic budget allocations for preparedness with additional grant financing after countries demonstrate improvements in core prevention, detection, and emergency response capabilities. Establish a new global financing mechanism dedicated to health security preparedness: Modeled on the Global Financing Facility for Every Woman and Every Child, donors could establish a new global financing platform with a primary aim to align and mobilize additional resources in support of country preparedness plans, including domestic budget resources, IDA, and other international public and private-sector financing. Donors willing to fund a new mechanism have not been identified. Whichever pathway(s) is chosen, the goal is to achieve at least an additional $1 billion per year into preparedness investments in LICs and LMICs. The financing gap for preparedness is an enduring and dangerous problem in health security. There is a strong political and investment case for leveraging IDA to address the gap in low-income countries, and the IDA19 replenishment presents a key opportunity to take action. Concrete options are available, and with sufficient political will, World Bank shareholders and IDA deputies have the ability to begin to achieve significant progress in narrowing the financing gap in creating sustainable preparedness capacities. The authors benefited enormously from the assistance provided by Emily Foecke Munden, associate fellow with the CSIS Global Health Policy Center, and Madison Hayes, research consultant with the CSIS Global Health Policy Center. This brief is a product of the CSIS Commission on Strengthening America’s Health Security, generously supported by the Bill & Melinda Gates Foundation. 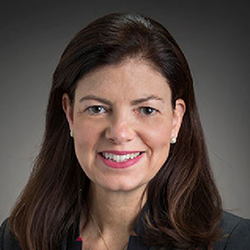 Kelly Ayotte served in the United States Senate, representing New Hampshire from 2011-2017, where she chaired the Armed Services Subcommittee on Readiness and the Commerce Subcommittee on Aviation Operations. In 2017, Ayotte led the team assisting Supreme Court Justice Neil Gorsuch in his confirmation process. Previously, Ayotte served as New Hampshire’s first female Attorney General from 2004-2009. 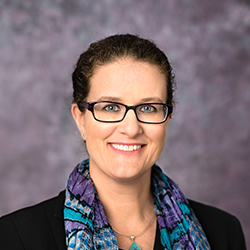 Beth Cameron is the Vice President for Global Biological Policy and Programs at the Nuclear Threat Initiative (NTI), where she leads NTI | bio’s efforts to reduce global catastrophic biological risks, advance international biosecurity capability, and improve pandemic preparedness. She previously helped develop and launch the Global Health Security Agenda when she served on the National Security Council staff. 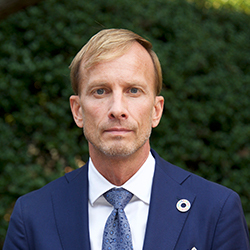 Ambassador Mark Dybul is the faculty director of the Center for Global Health and Quality at the Georgetown University Medical Center, which seeks to work with international partners to respond to pressing global health challenges. A well-recognized global health expert and humanitarian, Dybul has served as head of both the Global Fund to Fight AIDS, Tuberculosis and Malaria and PEPFAR. 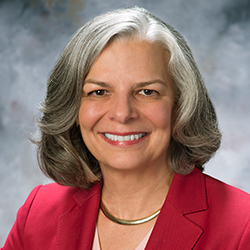 Julie Louise Gerberding, M.D., MPH Merck & Co, Inc.
Dr. Julie Gerberding is Executive Vice President and Chief Patient Officer at Merck, where she is responsible for patient engagement, communications, policy, philanthropic and other functions. She joined Merck in 2010 as president of Merck Vaccines. 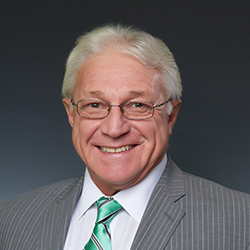 Dr. Gerberding previously served as Director of the U.S. Centers for Disease Control and Prevention (CDC) from 2002 to 2009. 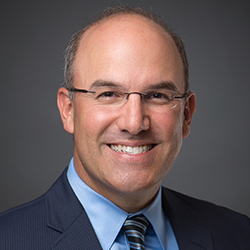 Admiral Jonathan Greenert is the John M. Shalikashvili Chair in National Security Studies at The National Bureau of Asian Research (NBR). At NBR, Admiral Greenert informs debates on critical issues in the Asia-Pacific. 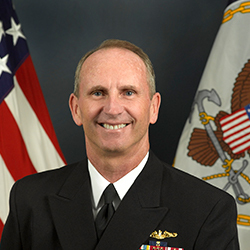 He previously served as the 30th chief of naval operations from 2011 to 2015. 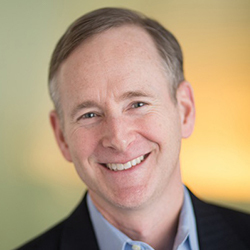 Jim Greenwood is President and CEO of the Biotechnology Innovation Organization (BIO) in Washington, D.C. BIO represents 1,000 biotechnology companies, academic institutions, state biotechnology centers, and related organizations across the United States and in more than 30 countries worldwide. 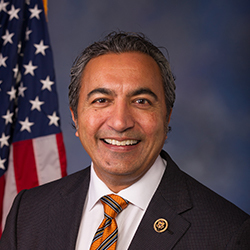 Greenwood previously represented Pennsylvania's Eighth District in the U.S. House of Representatives from 1993 to 2005. 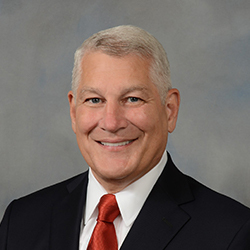 General Carter Ham is the President and Chief Executive Officer of the Association of the United States Army. He is an experienced leader who has led at every level from platoon to geographic combatant command. He is also a member of a very small group of Army senior leaders who have risen from private to four-star general. 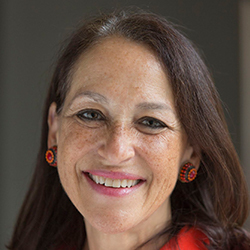 Margaret “Peggy” Hamburg is the foreign secretary of the National Academy of Medicine (NAM) and 2018 president of the American Association for the Advancement of Science (AAAS). 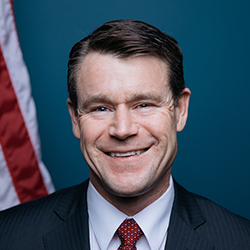 Hamburg previously served as commissioner of the U.S. Food and Drug Administration from 2009 to 2015. Ambassador Karl Hofmann is the President and CEO of Population Services International (PSI), a non-profit global health organization based in Washington, D.C. PSI operates in over 50 countries worldwide, with programs in family planning and reproductive health, malaria, water and sanitation, HIV, and non-communicable diseases. 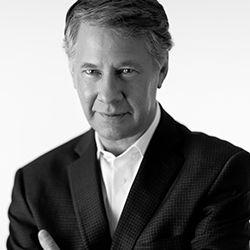 Prior to joining PSI, Mr. Hofmann was a career American diplomat for 23 years. 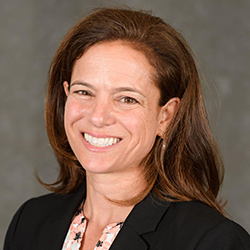 Rebecca Katz is an Associate Professor and Director of the Center for Global Health Science and Security at Georgetown University. 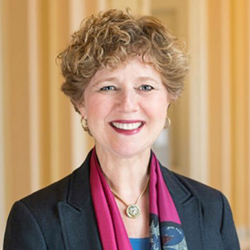 Prior to coming to Georgetown, she spent ten years at The George Washington University as faculty in the Milken Institute School of Public Health. 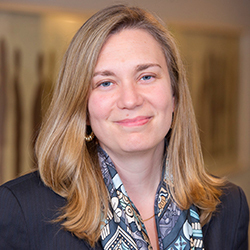 Her research is focused on global health security, public health preparedness and health diplomacy. 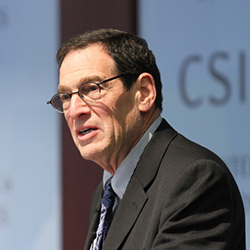 Ambassador Jimmy Kolker is a non-resident senior associate with the CSIS Global Health Policy Center. 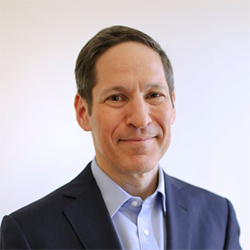 He retired in January 2017 as Assistant Secretary for Global Affairs at the U.S. Department of Health and Human Services (HHS), where he served as the Department’s chief health diplomat. 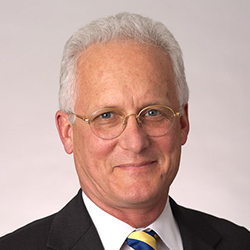 His 30-year State Foreign Service career included ambassador posts in Burkina Faso and Uganda. Christine Wormuth is the director of the International Security and Defense Policy Center at RAND Corporation. 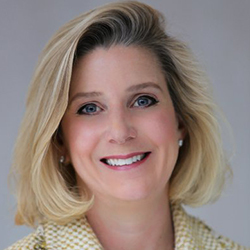 Prior to joining RAND, she was director of the Adrienne Arsht Center for Resilience at the Atlantic Council and Under-Secretary of Defense for Policy (USDP) at the U.S. Department of Defense. 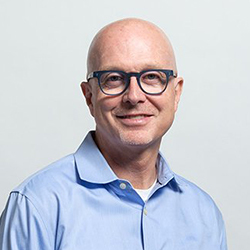 Juan Zarate is a senior adviser at the Center for Strategic and International Studies (CSIS), chairman and co-founder of the Financial Integrity Network, and a visiting lecturer in law at the Harvard Law School. Ebola in America: Epidemic of Fear” is a groundbreaking feature-length documentary that tells the story of the 2014 Ebola outbreak’s effect on America as well as the public health and government response.